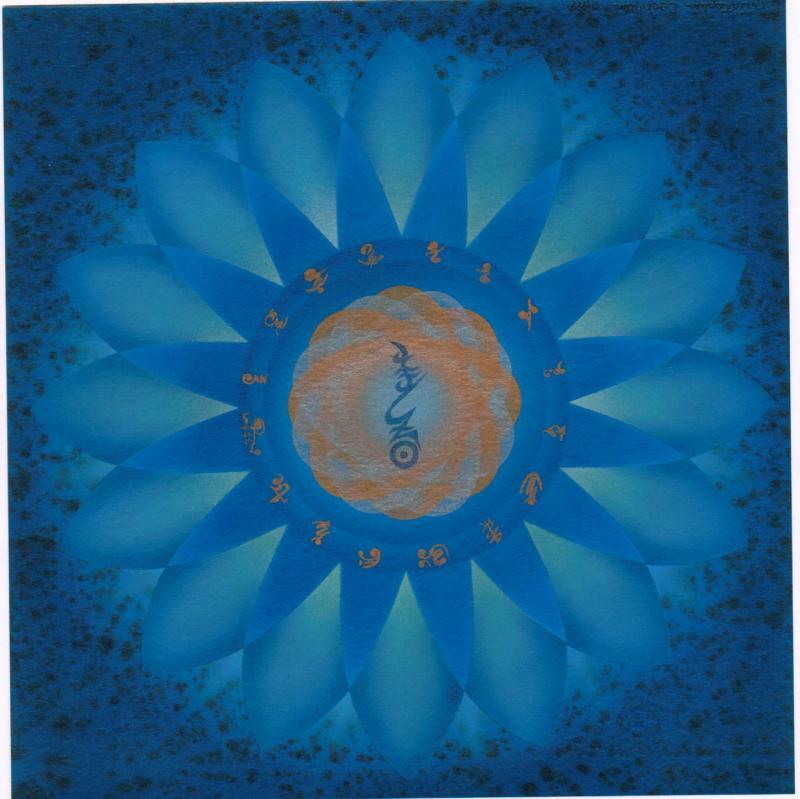 Blue Flame Reiki was channeled by a very talented artist named Chris Cochran while he was studying Reiki with me. His story is an interesting one. Perhaps at some point soon I will try to retell it on these pages. The Blue Flame energy is very beautiful and powerful. I am honored to be initiated into this system of Reiki. The Level One initiation begins a new journey in ones life to healing the self, the heart and the soul. This initiation is used both to clear and begin the healing process within the individual. There are two symbols that are included within this first initiation. Level One is best described as the cleansing, clearing and initial step to healing one’s self. After receiving the Level One, the initiate is best advised to begin practicing with it immediately to become acquainted with the new availability of healing energies available to him/her, most especially using the symbols. It is also helpful to meditate on the symbols and their specific energies. Level Two deals with increasing ones ability to attract and draw upon life force energies, as well as removing and releasing blocks, fears and other problem areas from ones energy field. With attaining the level two initiation, the initiate is given two more symbols to begin working with along side the level one symbols. This level two initiation and level two symbols increases the amount of healing energies one can draw in and utilize. This is due to the new level of energy that is activated within the initiate by the Master. The initiate is also given a new chart of specific hand postures to use as well as breathing techniques to begin using immediately. These will increase the initiate’s ability to heal himself/herself as well as others. It can also help to center and ground the initiate after a healing session and also helps prepare the initiate for the Level Three initiation. more balanced and centered and will become very helpful for preparing for a healing session. These exercises are also to help prepare the initiate for the Master Level of Blue flame. Level Four-Master Level, deals with the awakening and connection of the physical body to the soul self and the initiate’s own Soul Sword. It also opens the initiate up to receive, in total abundance, the warm golden light and love of Spirit. This Master Level is the final level and therefore entitles the initiate to begin teaching this process to others by way of initiation. This level is very enlightening and is truly for those who seek to ascend into their own soul self, become more empowered and heal those who come to them. This level is very powerful and is one of great love from Spirit.